When the Parvac Empire’s Imperial family vacations on Thalassa, Thunderdrop, an Arachnean Silk spider, begins an adventure of his own. However, his adventure isn’t limited to the jungle. Instead, as he travels across the galaxies, he learns important lessons about family, loyalty, and revenge. 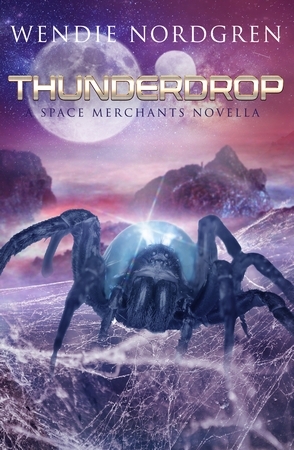 This novella is told from Thunderdrop’s point of view. His adventures coincide with the events of The Inquisitors.